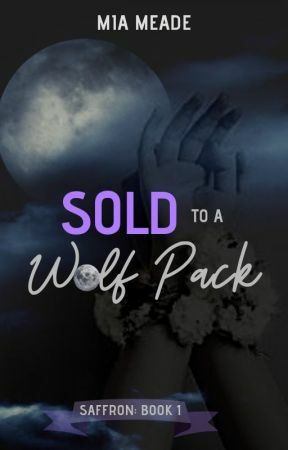 Sold to a Wolf Pack did NOT make the Wattys2018 award longlist. I&apos;m going to break out the Ben & Jerrys, watch a sappy movie on Netflix, and grab some tissues... maybe even give my stories a makeover. If you entered but didn&apos;t make it either, I&apos;m really sorry. Take a moment to grieve, but please never stop creating stories. There will always be people who don&apos;t think you&apos;re not good enough, but you need to believe in yourself and keep doing what you love. And those of you who made the longlist: congratulations! I&apos;m extremely happy and excited for you! Just let everyone know in the comments so we can celebrate. And you&apos;ll have my full support: shoutouts, reads, votes... 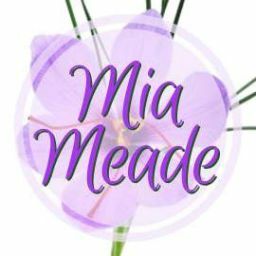 Anything I can do to help one of my readers get through! And for anyone like me who didn&apos;t make it (or who just didn&apos;t apply) your stories deserve some love! So feel free to promote your stories in the comments here, read each other&apos;s stuff, and keep writing. And now, the chapter (with special thanks to my advanced readers for helping me edit and to lazejr for the end of chapter questions)! "Mrs. Jones?" I call out in surprise. "What are you doing out here?" "Logan?" Amaryllis&apos;s Mom&apos;s head snaps up. "Thank the Goddess! Did you get my text? Rylie&apos;s missing. I couldn&apos;t reach your parents, or Beta. I didn&apos;t know what else to do." "Rogues," I spit, and her face goes pale. I quickly sum up everything that&apos;s happened, then add, "The challenge starts at sunset." "Oh no. We don&apos;t have much time." She falls to her knees. "These scents, are they the Rogues? I&apos;m really hoping it&apos;s just some pack kids." I think she&apos;s having some sort of nervous breakdown until her words register. I bend down next to her, grimacing when Daniel&apos;s jeans dig painfully into my belly. I take a tiny breath, trying not to inhale too much air, and the disgusting smell of Daniel&apos;s sweat wafts in. It&apos;s on the tank I&apos;m wearing and masks everything else. There&apos;s also Saf&apos;s Dad&apos;s scent on my shoes, but below that, on the gravel, their scents repeat. They were here. "No. It&apos;s them." "They have Rylie." Mrs. Jones jumps to her feet. "Because she left clues. There!" Mrs. Jones points at something on the other side of the road. She breaks into a run, hair and skirt flying, and my flip flops click with each step as I race in pursuit. We stop in front of a crudely drawn arrow, etched in the dirt by a wolf&apos;s paw. It points north, and Mrs. Jones bends down to give it a sniff. After a moment&apos;s hesitation, and a curse aimed at Daniel&apos;s jeans, I do the same. "It&apos;s Rylie&apos;s scent," Mrs. Jones confirms. "We have to go." She breaks into a run, jumps inside the SUV, and starts the engine. I barely have enough time to climb inside before she peels away. A cloud of dust forms around us as she veers onto the highway, and I slide sideways, crashing into the door.